One drill/driver with dead rechargeable batteries. It was my husband's. After internet research, and e-mailing the company(Ridgid), I went to the Home Depot service department. The sent me to Hardware, where a nice young man tested the charger and batteries, and swapped out a dead battery for a new one. Retail price of the new battery is $69.95. I still may pay that to replace the second battery, but not today. Yesterday, I tried to post about the tomatoes which are still abundant, although now ripening int he house. I must not have saved it on the phone. The PC version has an automatic save feature. Anyway, I have 2 gallon bags of tomatoes in the fridge which need to attended to. Some will be chopped and frozen, but I'm looking for ambition to make tomato tarts in my new pan. The mini pie/tart pan will make individual servings. Photos if I get to it today! 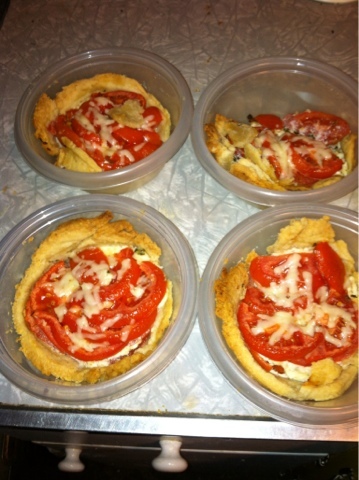 I used the Ziplock bowl to cut the crust the right size, and as you see the tarts fit nicely. They will be great for lunch. Checked out The Bottle House on Facebook. 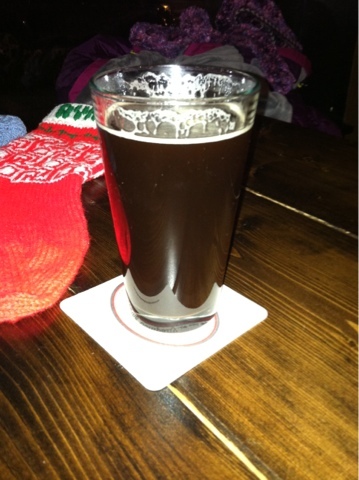 The Balthazar's Gift Ale is spiced with spiced orange and coriander.